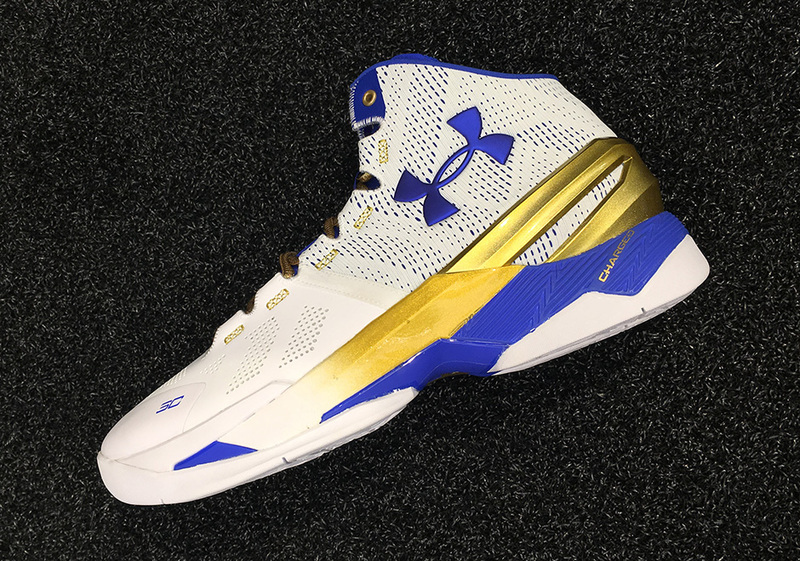 Under Armour’s “The Armoury” set-up in Dallas featured a number of upcoming releases, but perhaps the boldest take of all is this UA Curry 2 “Finals” PE in anticipation of the Warriors’ back-to-back NBA Finals appearances. 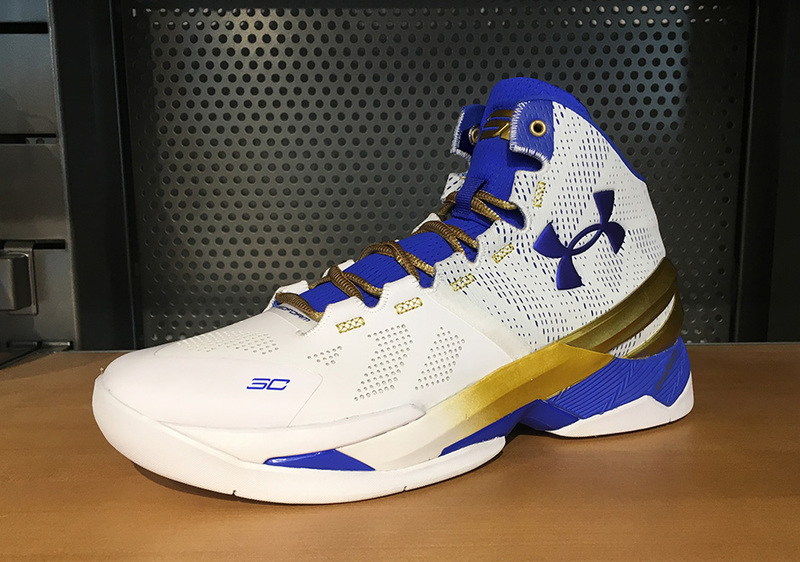 There’s still plenty of uncertainty out in the Western Conference, but we hope to see this metallic gold-laden Curry 2 at retail shops come this June. 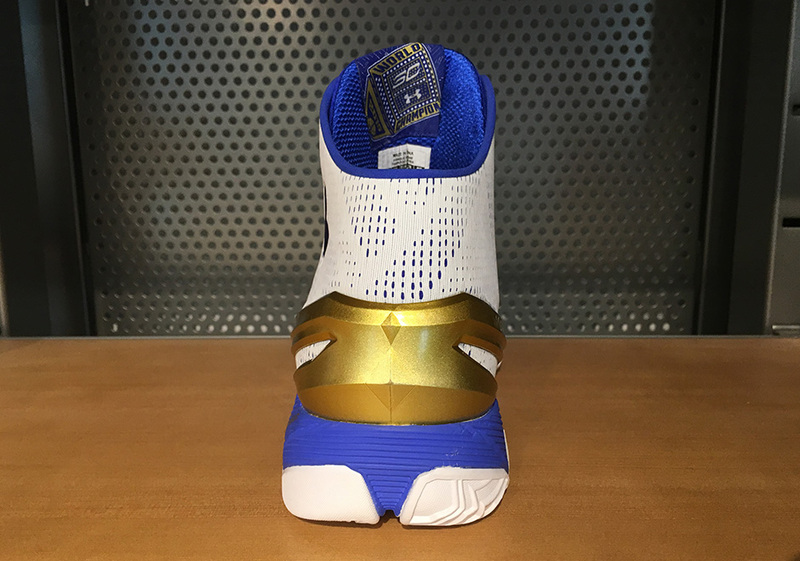 The Finals PE takes a simple approach, as a white upper is accented by royal blue hints while metallic gold laces match an illuminated heel cage in honor of the pursuit of the Larry O’Brien trophy. 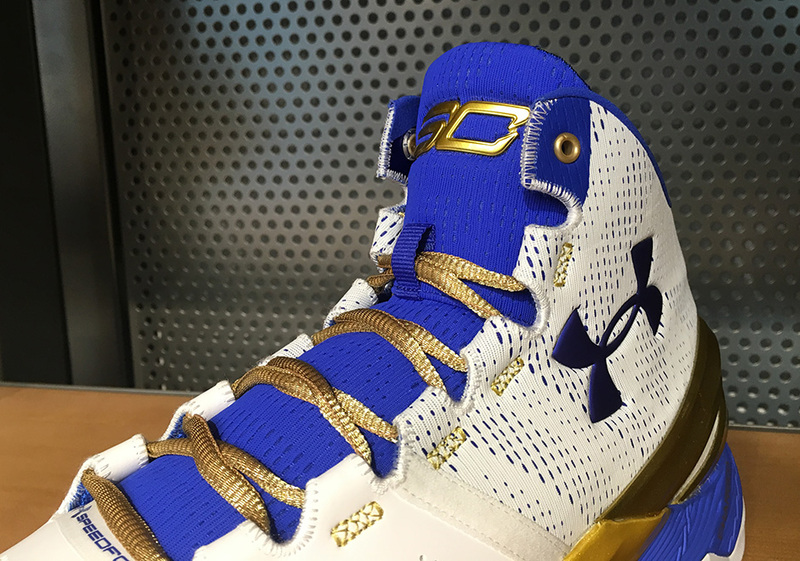 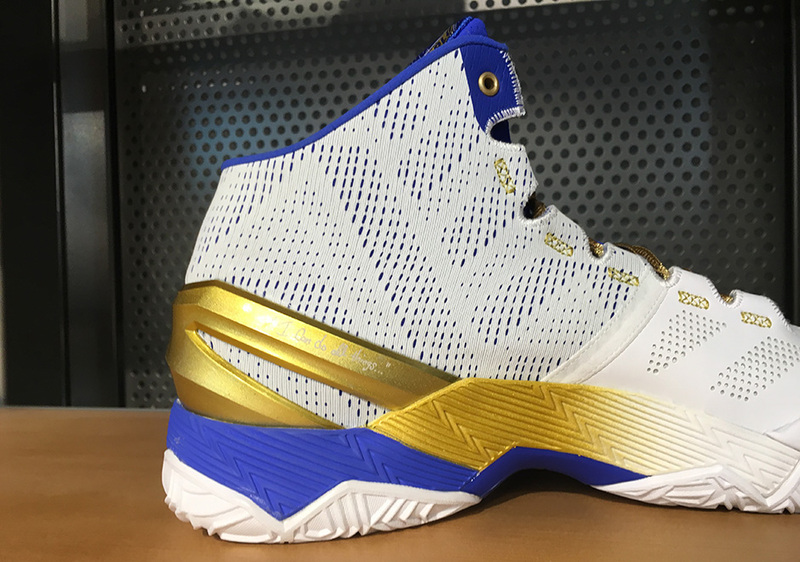 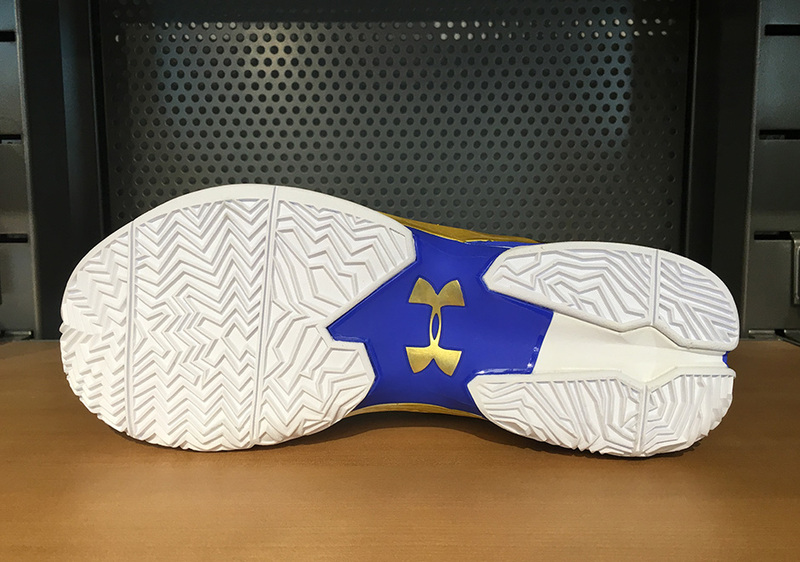 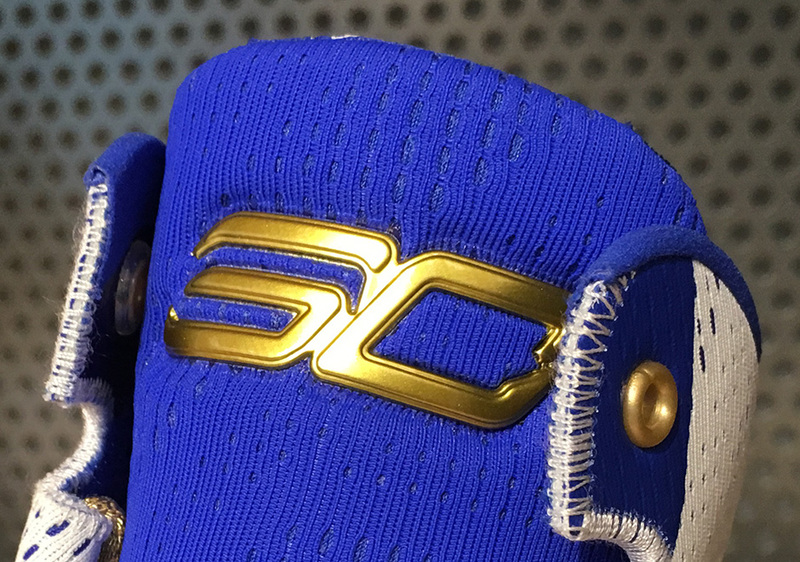 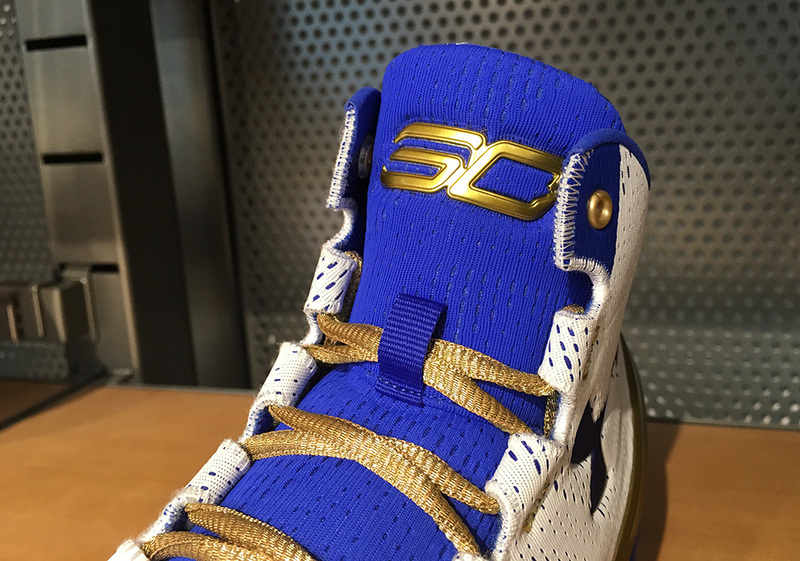 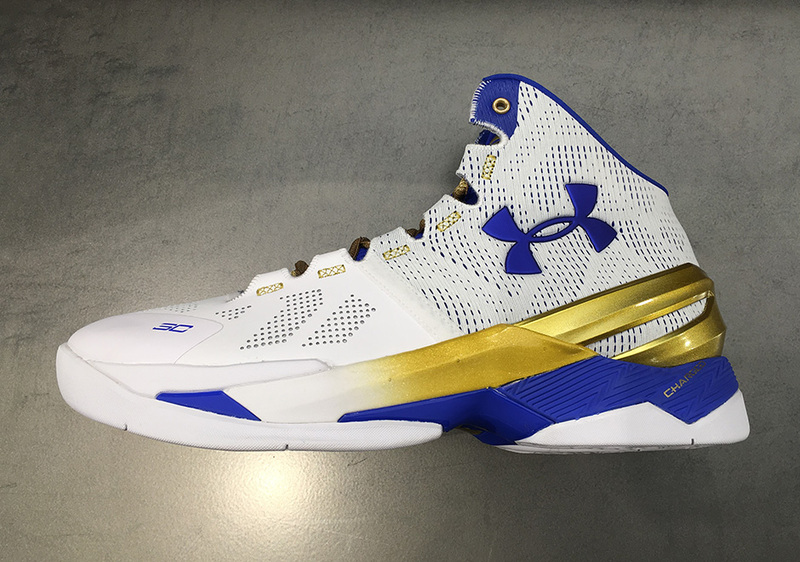 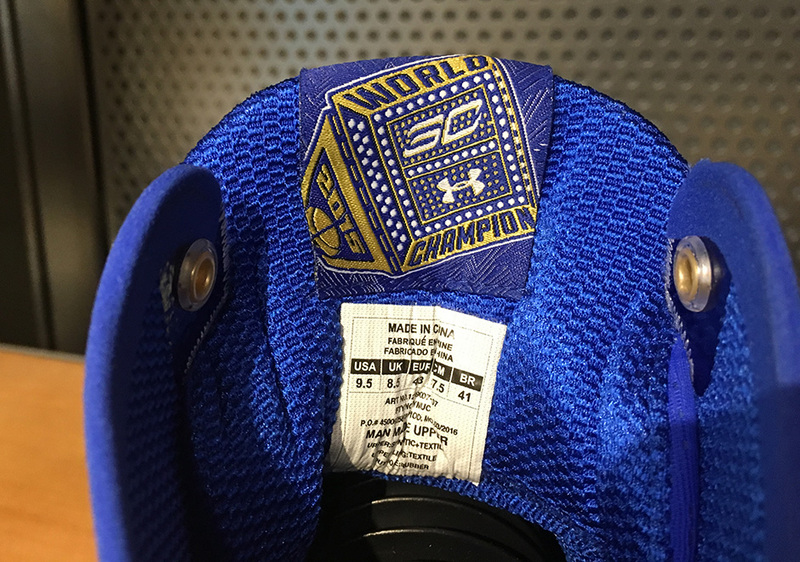 The inner tongue tab even features an awesome championship ring with 2015 scribed on the side while Curry’s ‘SC/30’ logo and UA shield are inscribed in the center of ‘World Champions’. 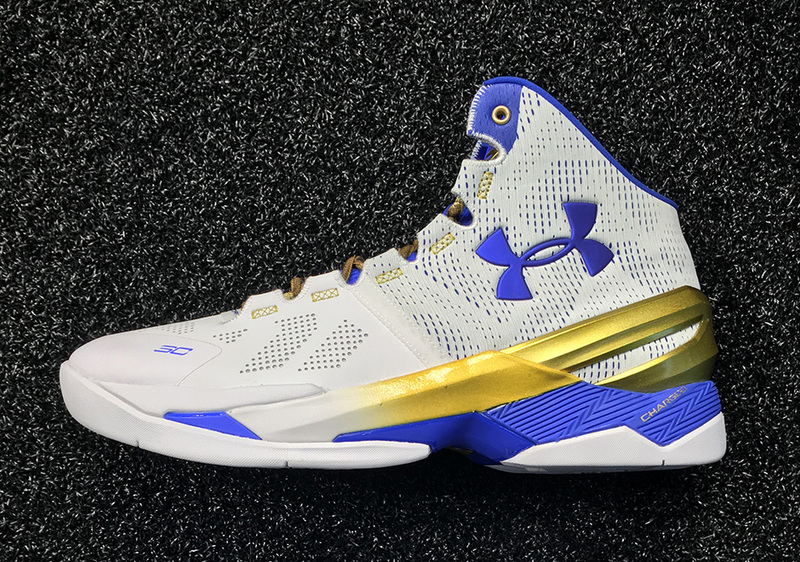 It’s not a bold proclamation of things to come as much as this pair is paying tribute to the Warriors championship last year. 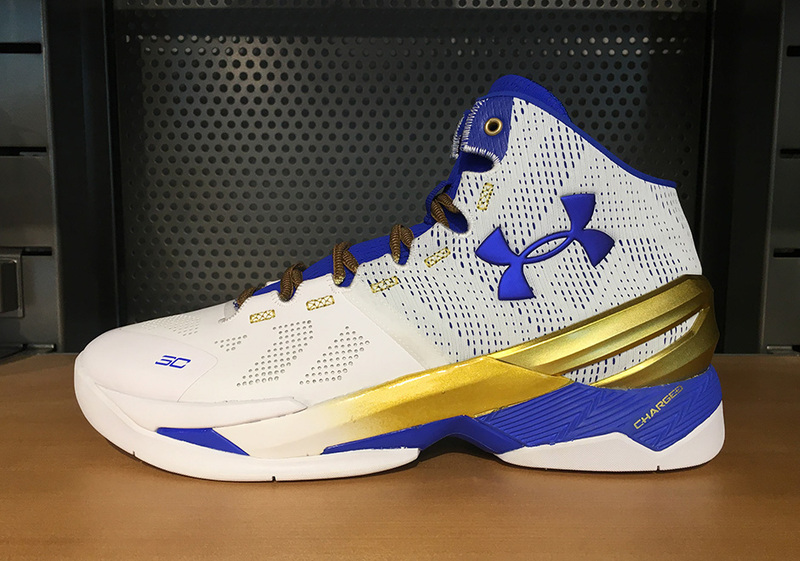 The Under Armour Curry 2 “Gold Rings” releases on June 4th, 2016 for $130. 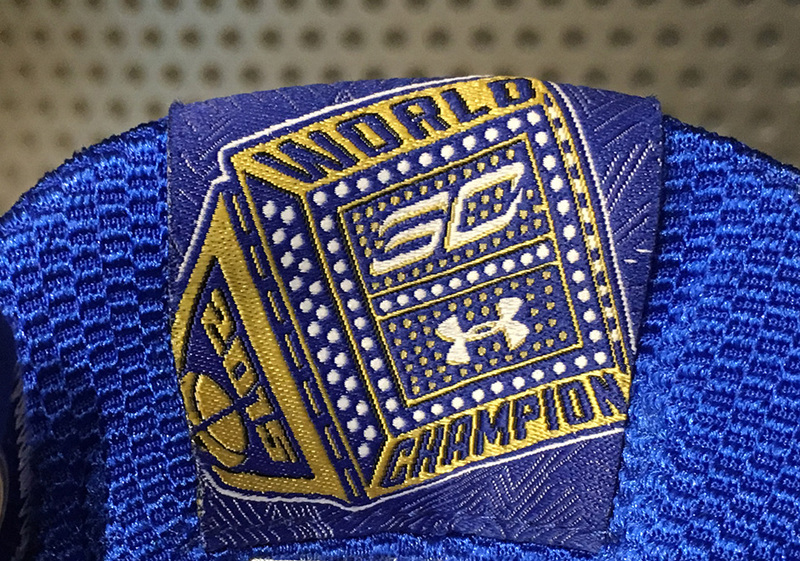 See more detailed images below.